120W STREET LIGHTS LED - High quality Taiwan 120W STREET LIGHTS LED provides by STANDARD WORLD INC. Address:No. 5, Lane 175, Minquan Rd., Tamsui Dist., New Taipei City, Taiwan, R.O.C. Address: No. 5, Lane 175, Minquan Rd., Tamsui Dist., New Taipei City, Taiwan, R.O.C. ■ Constant current LED driver (worldwide safety approved) for optimum lumen maintenance and maximize life time. ■ Apply to square, sports ground, park place, country road illumination as street lights or high pole lights. ■ Modularized mechanism design effects simple augment illuminances by expand modular light blocks. ■ Advanced lamp mechanism available for easy adjust lighting direction and replaceable optic lenses. 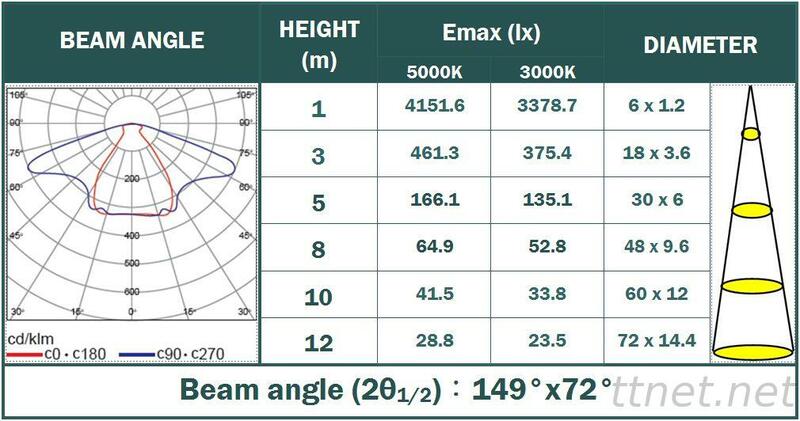 ■ Ten kinds of optic lens models for different project requirements. ■ Fully compliance with CB, CE, FCC criterions.